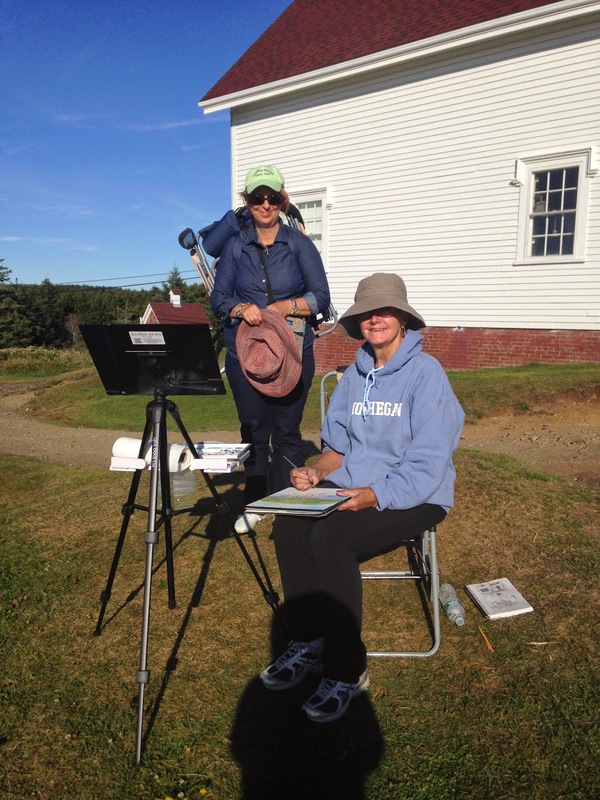 While PALS were painting on Long Island, I was lucky enough to be teaching a Watercolor Workshop on Monhegan Island, Maine. 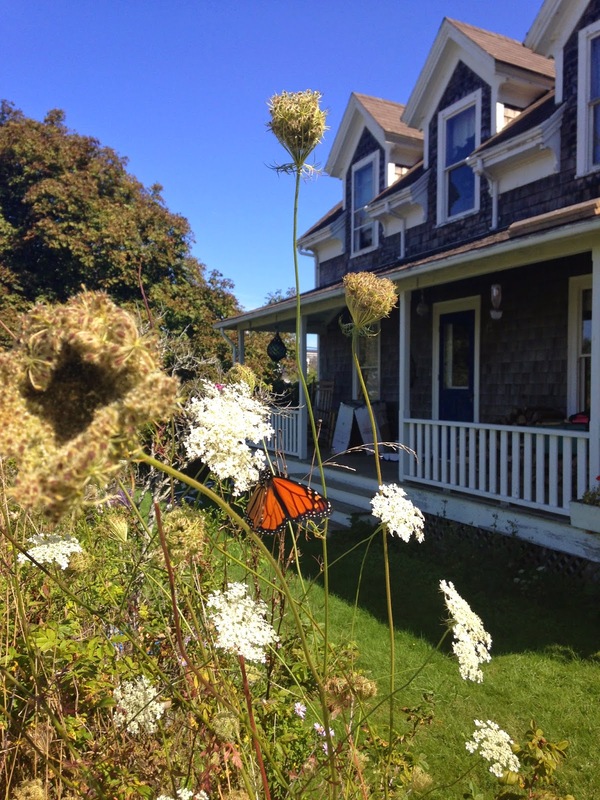 After taking a ferry over hour out to sea, we landed on Monhegan, a very magical, beautiful Island, home to many artists. There are paintings waiting to be painted every direction you look. There are no cars on this Island, except for a few trucks needed to bring in luggage or supplies. There is limited electricity, and the locals are careful with the plumbing, water use, and even no smoking except in a tiny area, to prevent fires. One highlight of our trip was to honor Paula Beaulieu, a very special artist from Salem, MA that we saddly lost this year. She connected all of us with her creativity, taught many of us how to paint, and introduced us to each other and to her favorite place to paint on earth, Monhegan Island. We made a special rock garden dedicated to Paula, here at The Trailing Yew, and of course we raised a toast to her! We hope to carry on her love of art, friendship, and travel. Love and miss you Paula. the porch in the evenings!